Electric Fencing materials supplied by Farm Relief, wide range, competitive prices. Free delivery on all online orders. 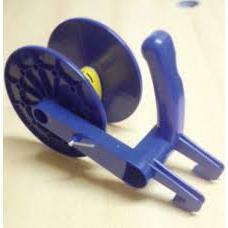 7 Wire – suitable for cattle, sheep, pigs and poultry. 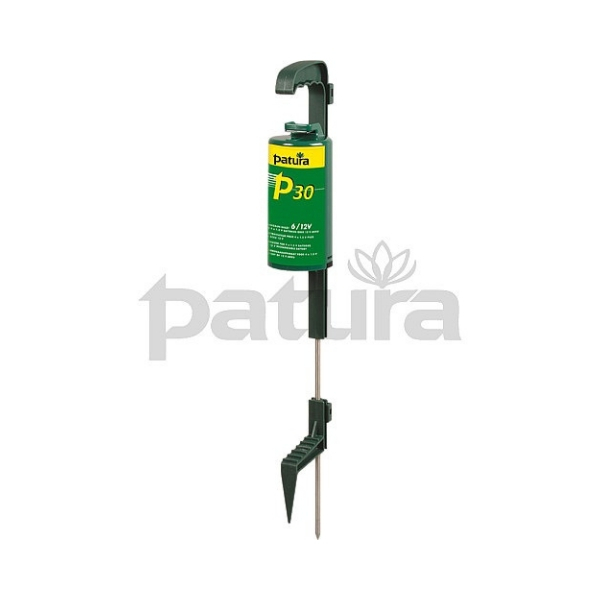 Long lasting and suitable for all soil types. 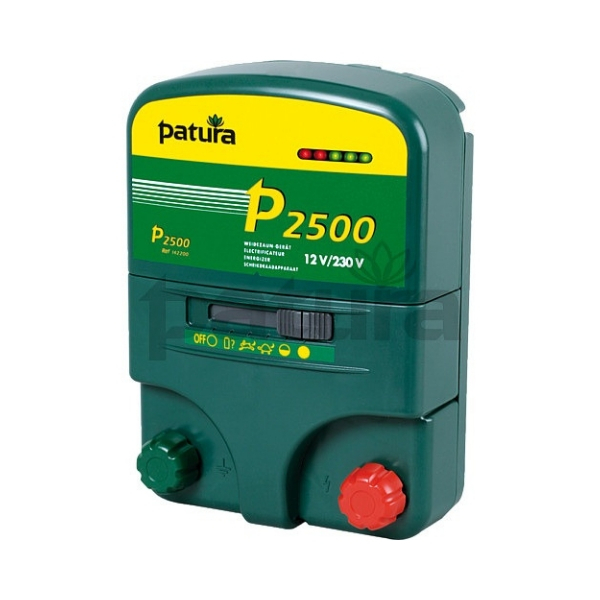 The Patura multi-voltage energiser for short fences with light vegetation for cattle and horses; including 230 V mains adaptor and 12 V battery lead set. 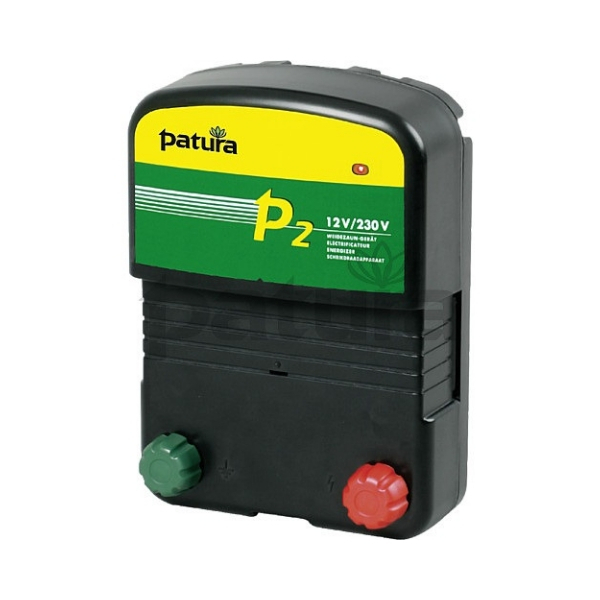 The Patura multi-voltage energiser for electric fences for cattle and horses, also for longer fences with normal vegetation; including 230 V mains adaptor and 12 V battery lead set. Energiser using 4 x 1.5 V internal batteries, size D or 12 volt battery; 12 V lead set included; the ideal energiser for small horse paddocks, for trekking and for domestic animals. The Patura multi-function energiser with the newest, efficient energiser technology for fences with normal vegetation; 5-step fence and battery monitor, 6-step switch, deep discharge protection; including 230 V mains adaptor, stainless steel. 12 V battery lead set and fence/earth lead set. – Stored energy: 2.7 joules. – Operation with 12 V battery or 230 V mains adaptor. Remote control capable. 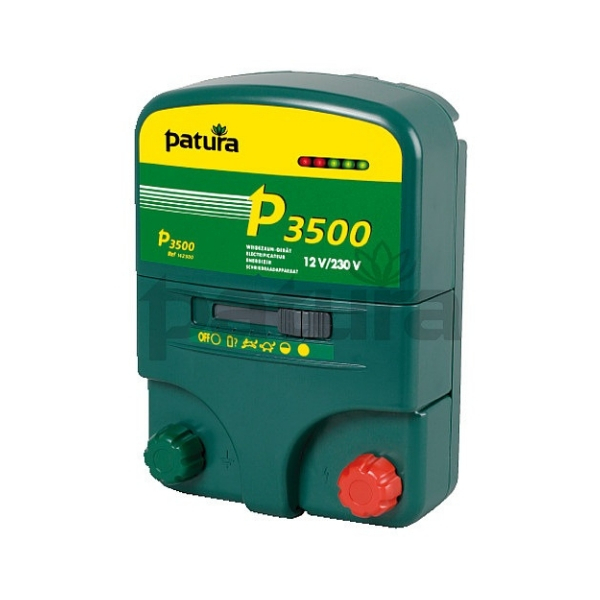 Delivers maximum power and reliable performance for your permanent electric fencing. Powers up to 275 acres / 110 ha (200 km) of fence. 22 J maximum output energy (34 J stored energy). – Cyclic Wave™ technology. Provides a clean, powerful pulse that maximises the energy that travels down the fence line, resulting in continuous power right to the end of your fence for optimal livestock control. – Bi-polar technology. Enables the user to power a fence system to perform exceptionally well in dry, low conductive soil. – Remote capable (Remote sold separately 806742). 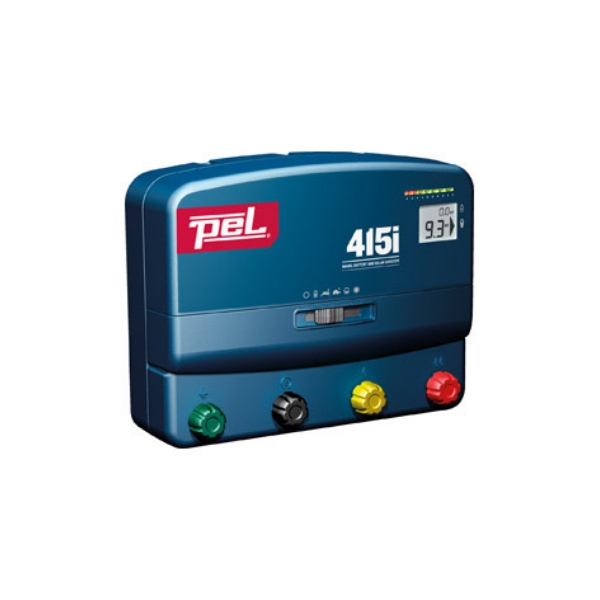 Using a PEL fence remote (with remote capable PEL energizers) enables you to switch the energizer on or off from anywhere along the fence line. This makes it easy to manage repairs and maintenance. – Indicator lights (voltage). Easy to read light bar display provides an instant measure of the energizer output voltage for quick fence diagnostics. The LED display shows red when heavily loaded. – Rugged, compact design. Hi-tech components and advanced research and development have enabled us to make powerful energizers in a compact, rugged polymer case. – Large terminals. Mounted on the front of the energizer casing for convenience, these large terminals are easily adjusted and accept up to two fence wires. The slotted terminals make inserting wires and getting a good connection easy. – Low interference. Cyclic Wave™ technology delivers outstanding fence performance and helps to minimise electromagnetic interference in line with international EMC standards. Powers up to 90 acres / 36 ha (60 km) of fence. 6 J maximum output energy (9 J stored energy). – Cyclic Wave™ technology. Provides a cleaner, more powerful pulse, maximising the energy that travels down the fence for optimal stock control. – Solar compatible. Electrify your fence with solar power by connecting solar panels to any PEL Unigizer. The solar panels charge the battery connected to the Unigizer, for reliable livestock control. – Indicator lights (voltage and battery). Easy to read light bar display provides an instant measure of the Unigizer output voltage and battery condition for quick fence diagnostics. The LED display shows red when heavily loaded. – Battery saver. Microprocessor technology automatically adjusts the output energy depending on the battery condition. 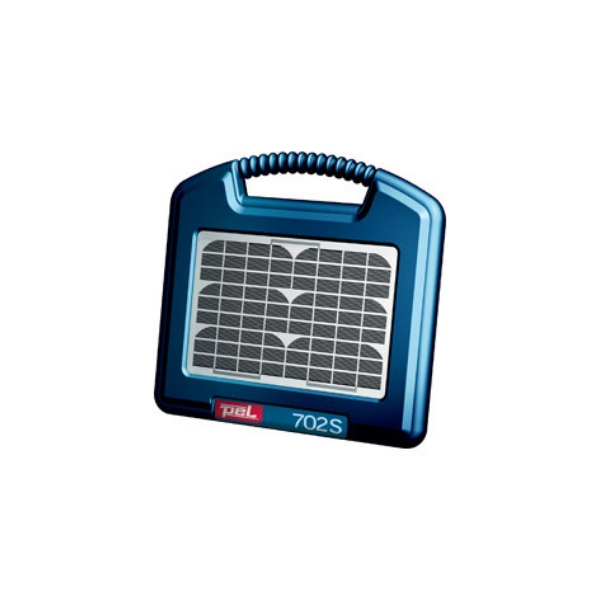 This feature extends battery life and is particularly efficient when used in solar installations. – Day/Night sensor. Automatically adjusts pulse speed to contain or exclude animals based on day or night conditions. 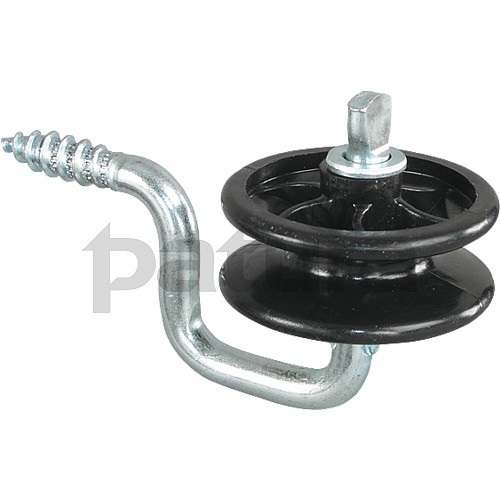 – Versatile mounting options. 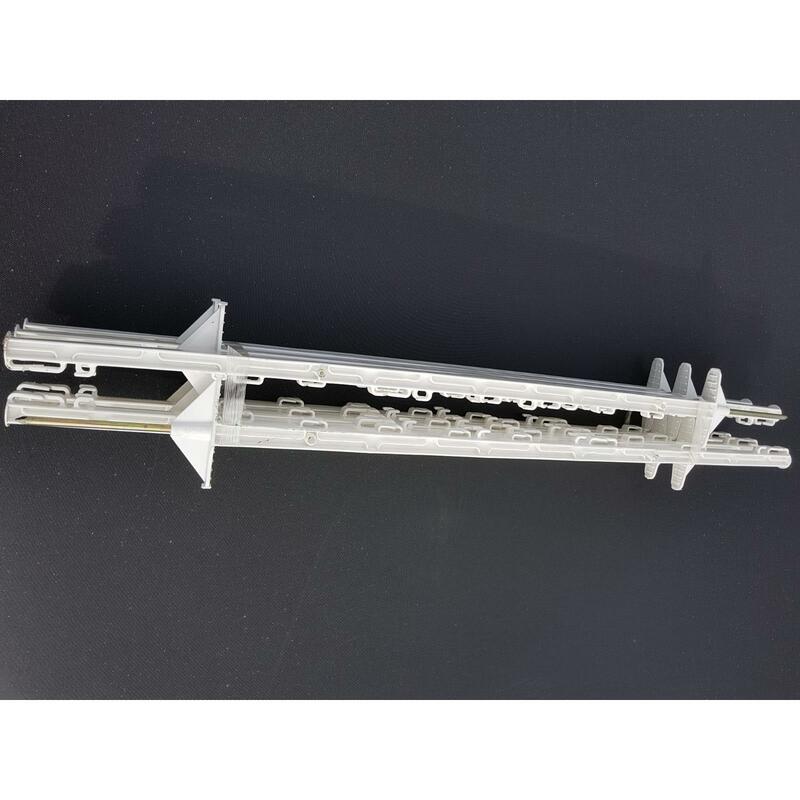 Can be mounted on a wall, post or fence wire. Choose indoor or outdoor installation, depending on your fence location and power supply. – Versatile power options. Can be conveniently installed in a range of locations using either mains, battery or solar power. – Adjustable settings and pulse speeds. – Includes battery lead and mains power adaptor. Powers up to 225 acres / 90 ha (150 km) of fence. 15 J maximum output energy (20 J stored energy). – Low energy terminal. Limits energy to below 1.5 J for use around buildings and houses. – Remote capable (remote sold separately 806742). Using a PEL fence remote (with remote capable PEL energizers enables you to switch the energizer on or off from anywhere along the fence line. This makes it easy to manage repairs and maintenance. – LCD voltage display. Displays output voltage, battery voltage and earth voltage. LCD is backlit for viewing in poor light conditions. – Earth monitoring. 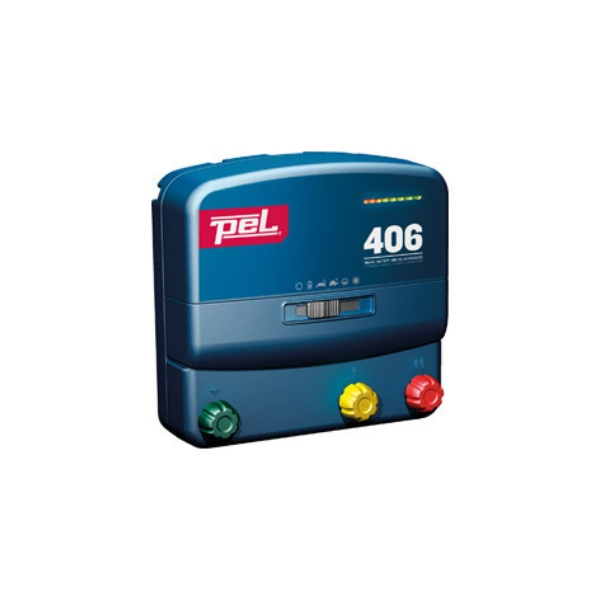 Indicates earth system problems by monitoring the level of voltage around the earth system. – Versatile power options. 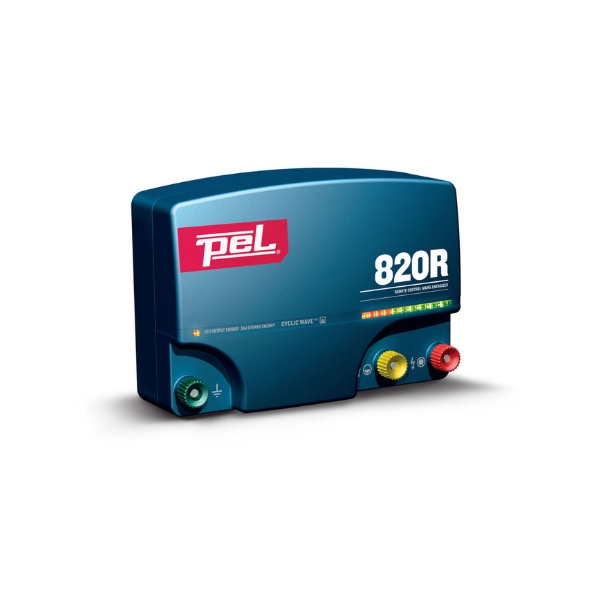 Can be used in mains, battery or solar power applications, providing convenient, versatile livestock control. – Audible and visual alarm. – Adjustable output power and pulse speeds. Powers up to 20 km (30 acres / 16 ha) of fence. 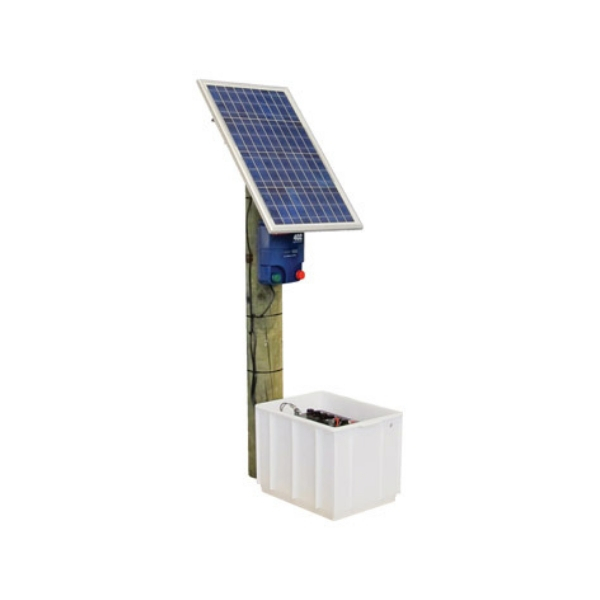 Includes 402 Unigizer, solar panel, voltage regulator, mounting bracket and hardware, battery box, connectors, compass and full instructions (earth rods and post not included). The perfect energizer if you‘re a small block holder or a dairy farmer wanting to strip graze. Powers up to 3 acres / 1.2 ha (2 km) of fence. 0.15 J maximum output energy(0.2 J stored energy). Indicator light (pulse). Located on the rear of energizer indicates the solar energizer is working. Battery saver. Microprocessor technology automatically adjusts the output energy depending on the battery condition. This feature is designed to extend battery life. Rugged design. Strong aluminium solar panel frame and UV resistant case provides maximum weather protection for extreme environments. High output voltage: 9,500 V output. Rechargeable internal battery. Rechargeable internal sealed 12 V, 7 Ah battery included (optional in some markets). Maximum battery life is 3+ years. Steel and wood post mounting options. High impact enclosure is designed to securely mount on Y-posts and wood posts. Comes with built-in solar panel. 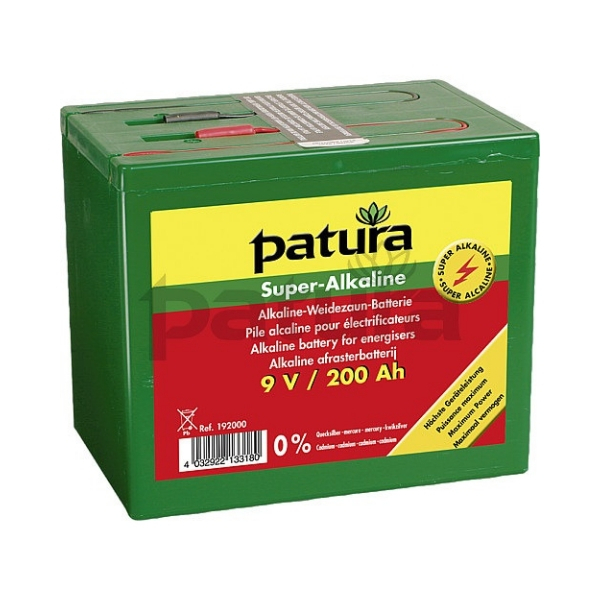 The environmentally friendly electric fence battery with constant voltage level; for constant, optimum energiser performance. 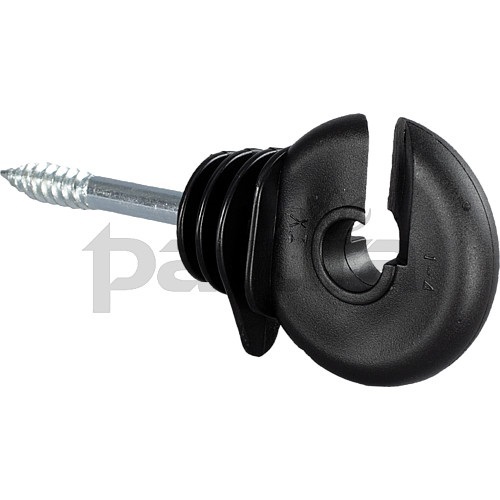 With lock pin, carry handle and hook to hang on fence wire; ideal for dividing up paddocks; up to 200m of polywire. 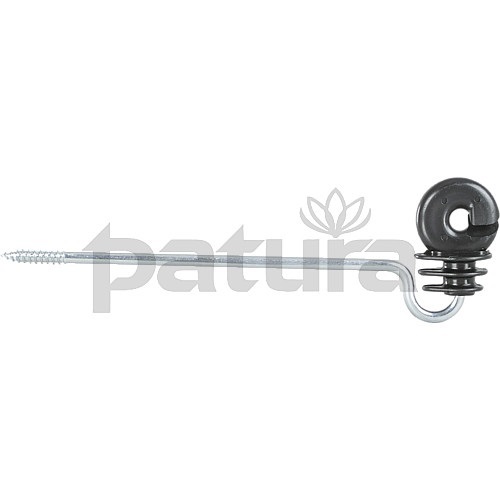 With lock pin, carry handle and hook to hang on fence wire; ideal for dividing up paddocks; up to 400m of polywire. 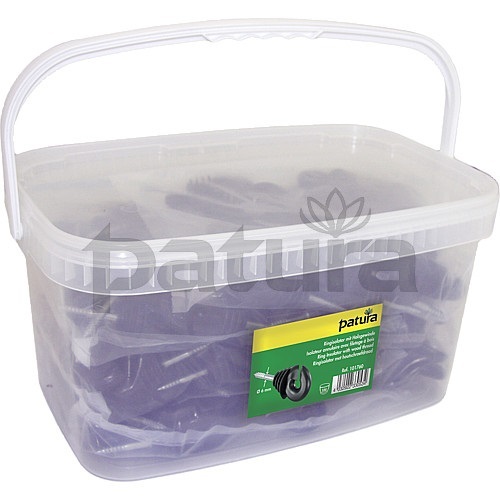 – Wire and tape guide to prevent tangling. 5 year bobbin uv warranty. High voltage-proof, double insulated, single-core cable with 1.6 mm steel core; for fence and earth lead-outs up to 10 m, or for by-passing gates; resistance 0.1 ohms/m. High voltage-proof, double insulated, single-core cable with 1.6 mm steel core; for fence and earth lead-outs up to 25 m, or for by-passing gates; resistance 0.1 ohms/m. 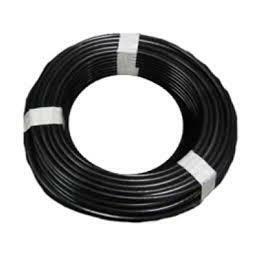 High voltage-proof, double insulated, single-core cable with 1.6 mm steel core; for fence and earth lead-outs up to 50 m, or for by-passing gates; resistance 0.1 ohms/m. 1.6 mm galvanised steel. 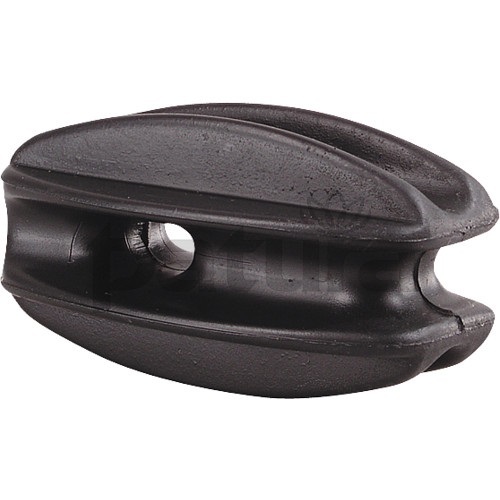 For under gate and lead out applications. 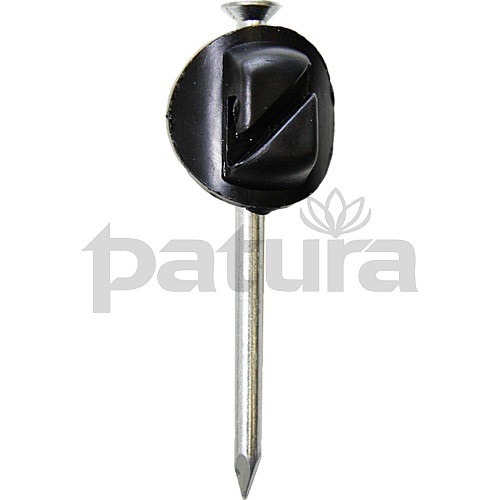 – Easy to strip with soft steel core for greater flexibility. 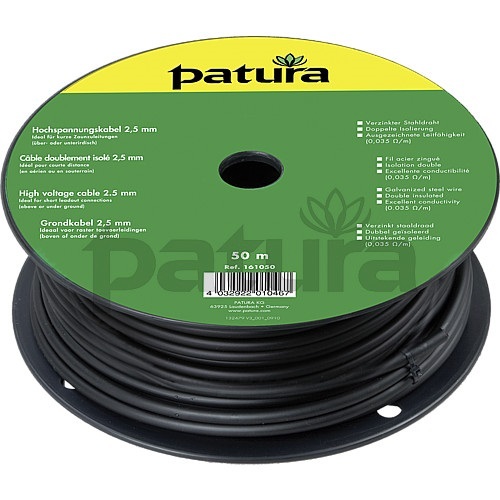 High voltage-proof, double insulated, single–core cable with 2.5 mm steel core; for fence and earth lead-outs over 15 m; resistance 0.035 ohms/m. 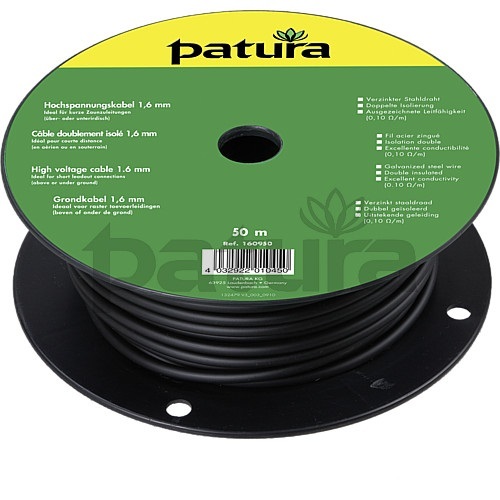 High voltage-proof, double insulated, single–core cable with 2.5 mm steel core; for fence and earth lead-outs over 50 m; resistance 0.035 ohms/m. 100m Heavy Roll of Byrce Underground Cable. Specially developed, this is the heaviest duty cable on the world market. 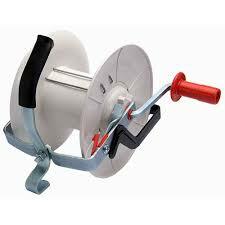 It is generally put into the ground straight from the coil without any further protection required. This makes the job quick and simple under all field conditions. 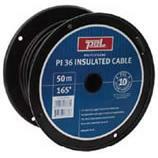 This cable also provides the inbuilt facility for isolating the power at any fence junction or gateway. 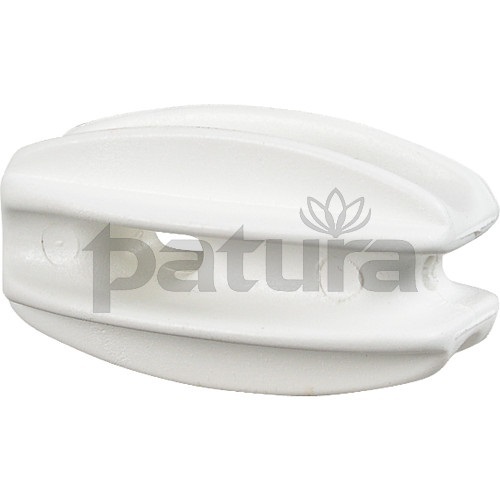 Start and end insulator for high tensile loads, fibreglass-reinforced plastic, white.